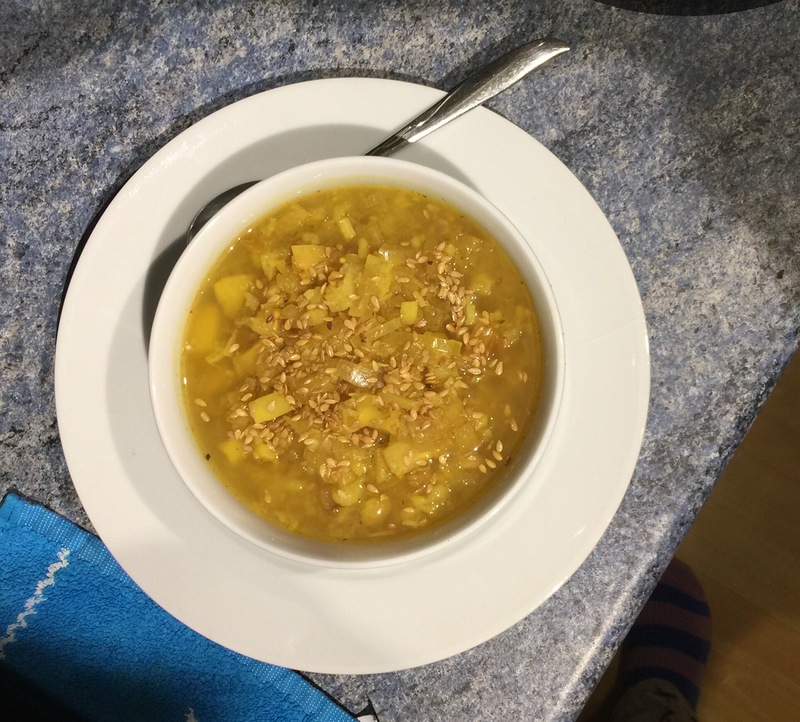 Adventures In Slow Cooking- Parsnip & Apple Soup – Food. Boom. It’s been a rough couple of days on body and spirit so when faced with a free Wednesday afternoon I felt up to little more than filling the slow cooker and sitting still for a nice while. Fridge contents put me in mind of how frequently I’ve seen parsnip and apple soup on menus of late as I had both of these things in, and by happy coincidence the result was bloody lovely. Substantial and slightly sweet, this is a great, vegan friendly winter warmer. Simply sling all the veg and spice into your slow cooker then cover with hot stock and cook on high for about 4hrs. Season and serve sprinkled with linseeds or roasted pumpkin seeds and hot buttered toast. Variations- using a combination of stock and cider might make for a more festive version of this soup and the non vegans might wish to use chicken stock or add some cooked lardons at the beginning and a slug of double cream at the end. Grating the veg and apples gives a thicker, more soupy finish and the apple will dissolve completely into the broth but you may wish to use a stick blender before serving if you don’t like it rustic! If you use cold stock add another hour to the cooking time but it’s much easier to just warm in a saucepan (or use fresh from the kettle) first. It’s the PERFECT season for apple-parsnip soup!